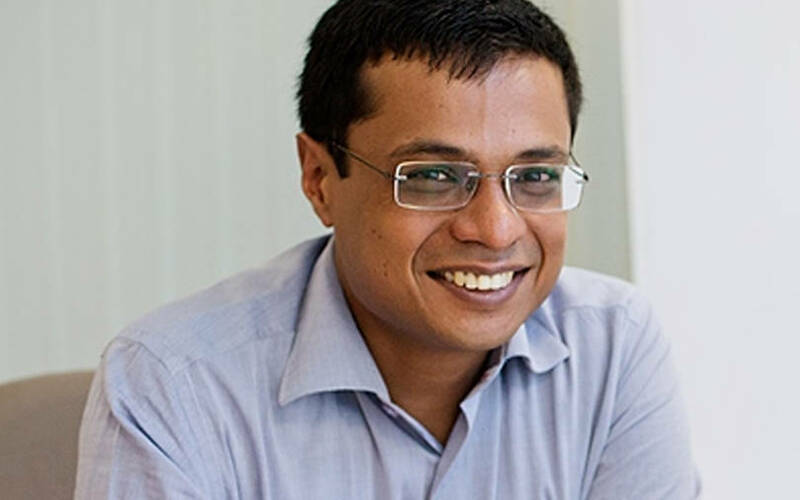 Flipkart co-founder Sachin Bansal has launched a new company six months after exiting from the homegrown e-commerce giant in May. The new entity, which has been christened BAC Acquisitions Pvt. Ltd, was incorporated on 10 December with an authorised and paid-up share capital of Rs 1 crore, filings with the Registrar of Companies show. BAC Acquisitions will develop and provide services through information technology-driven internet and mobile platforms, the company’s memorandum of association stated. The firm will cater to a number of industries, including data sciences, healthcare, energy, media and entertainment, fast-moving consumer goods, engineering, retail, logistics, food and beverages, infrastructure, construction, machinery, agriculture, automobile, HR, gaming, and financial services, the filings revealed. It will also acquire and develop new technology platforms, and automate business processes in the aforementioned sectors. Besides, the filing also mentions one of its other objects as making available IT products for commercial purposes, data processing, data entry, customer relationship management, communication, data analysis, social, gaming, design, cloud computing or other services. E-mail queries sent to Sachin Bansal about the new venture did not elicit a response at the time of filing this report. In November, The Economic Times had reported that Bansal planned to launch a new venture in agri-tech and fintech. The report had added that Bansal will reportedly run his new businesses directly and will make large minority and majority investments in the two sectors. Bansal, who reportedly made an estimated $1 billion from Walmart-Flipkart sale, is also looking to invest more actively in startups. He is already an angel investor and is known to write cheques ranging between $1 million and $10 million, according to information with Crunchbase. In August this year, business daily Mint had reported that Bansal was looking to raise a venture capital fund of $700 million to $1 billion to invest in startups, where he will contribute up to 40% to the fund. Bansal exited Flipkart in May after selling his entire stake in the company to US-based retail giant Walmart, whose acquisition closed in August this year. He held about 5.10% stake in the company he founded, pocketing about $1 billion after the sale. The US-based retailer had announced its decision to buy 77% of the company for $16 billion in May. Bansal had launched Flipkart in 2008 along with Binny Bansal. Last month, Binny Bansal, the other co-founder, also resigned from the e-commerce company as group chief executive officer following an independent probe into allegations of ‘serious personal misconduct’. He had denied the allegations.